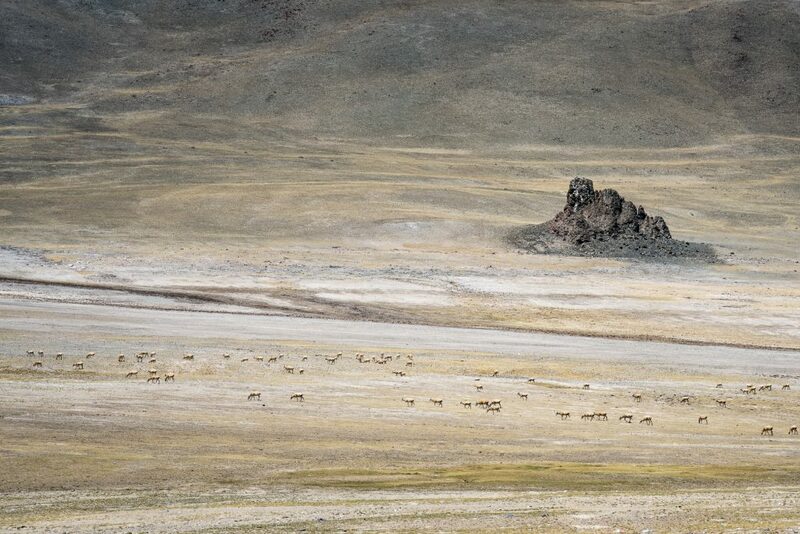 After several days travel we had crossed half the Tibetan plateau on our journey to Mount Kailash. 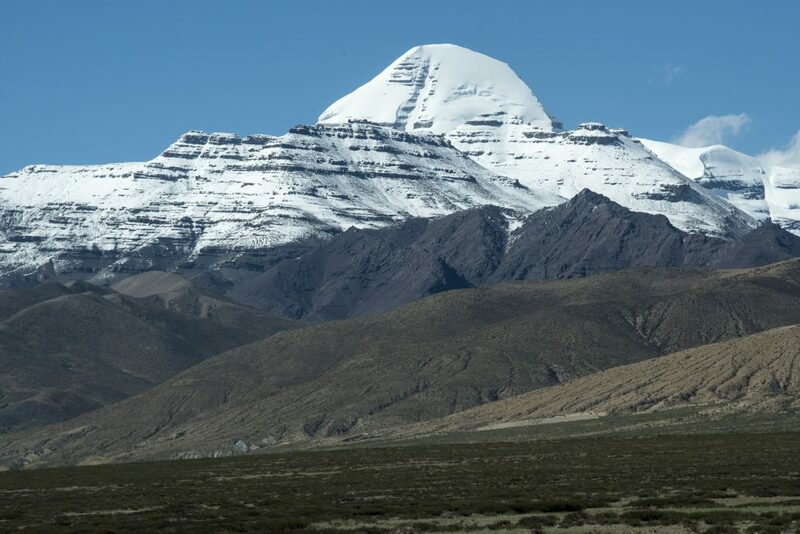 An ancient place of pilgrimage and holy to four religions, Mount Kailash stands in the remote far west of the Tibetan Autonomous Region, a barren high altitude region, bordered by the Himalayas. The origin stories of these religions (Bons, Buddhists, Hindus and Jains) consider Kailash to be the center and birthplace of the universe, the Axis Mundi, the abode of Shiva. 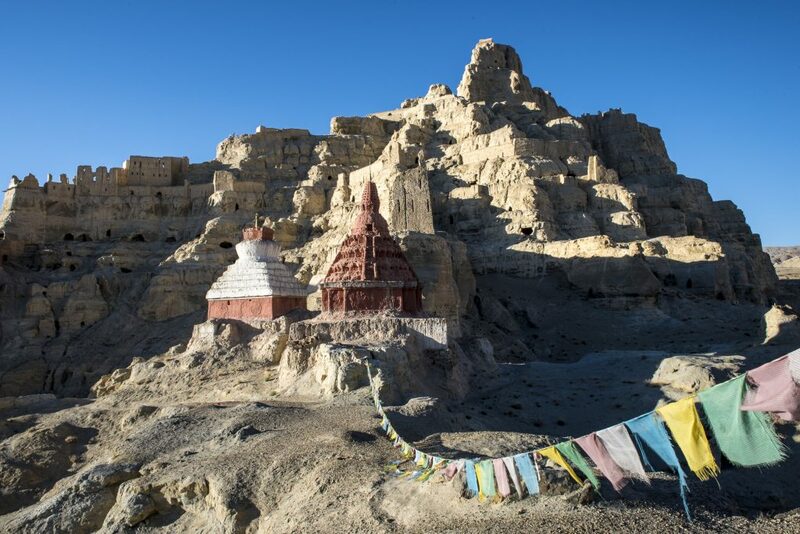 Although one of the most important places of pilgrimage in the world it is also one of the least visited due to its remote location and the challenges of altitude and weather. From Saga- a transport hub and military garrison in what is now more or less a Chinese city – we had another long drive of several hours. Along the road we caught glimpses of Kailash but for now we were circumventing the great mountain. Its gravitational pull was slowly drawing us into its orbit but we had a few more sites to visit before turning towards Darchen, which would be the starting point of our trek around the mountain. We made our way to Menshi. This small one street village had the feeling of a frontier town. Pool tables dotted the highway where the young entertained themselves with little else to do. From here it was a relatively short diversion to Tirthapuri, famous for its hot springs. 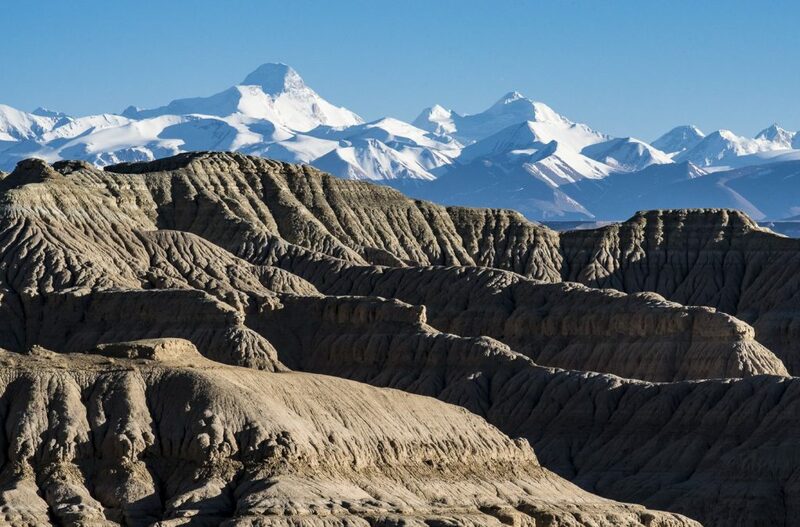 Situated on the north bank of the Sutlej River, Tirthapuri is regarded as the third most important pilgrimage site in western Tibet (after Kailash and Lake Mansarovar). 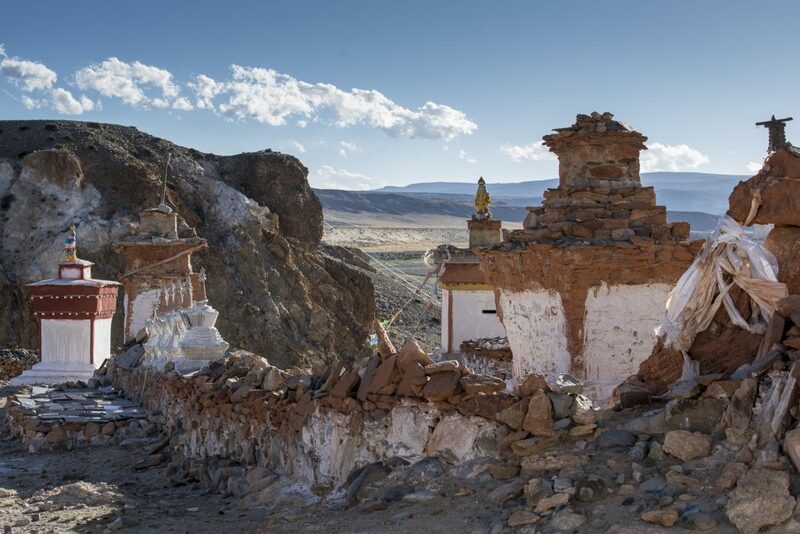 In Tirthapuri Monastery lie the footprints of Guru Rinpoche (Padmasambhava). Walls of Mani Stones that have healing properties line the kora around the site. 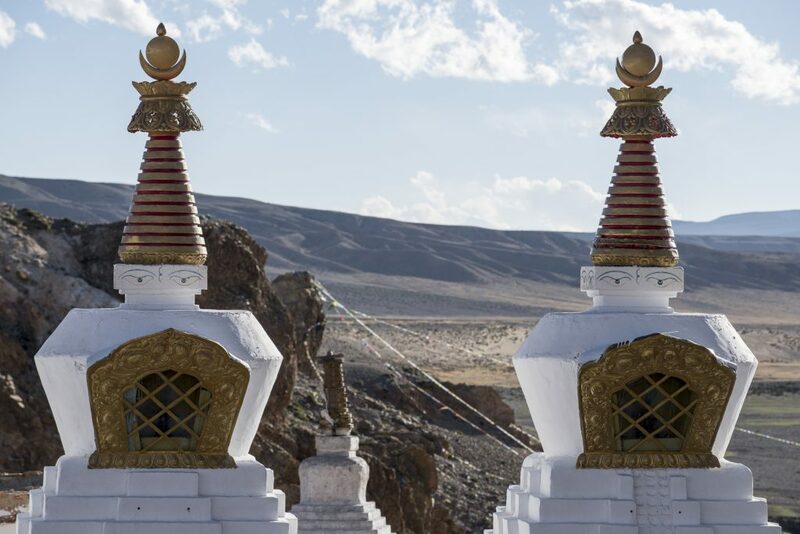 The sulphurous hot spring pools are believed to have healing powers and pilgrims bathe their feet in them after completing the kora around the monastery. 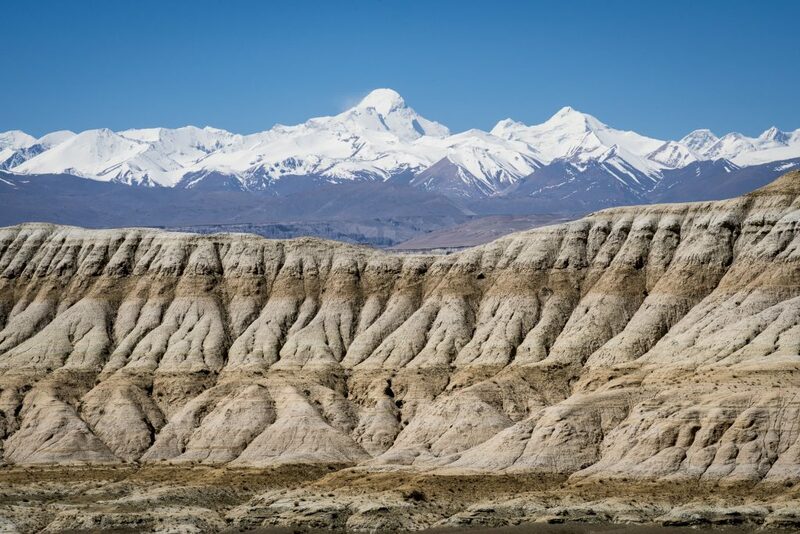 From Menshi I headed further west, leaving Kailash behind for now, towards the ancient Guge Kingdom at Tholing. Tholing, founded in 997AD, means ‘hovering in the sky forever’ and perched on the edge of a large canyon carved out by the Sutlej River, far from any other sign of civilization, it is easy to understand why. 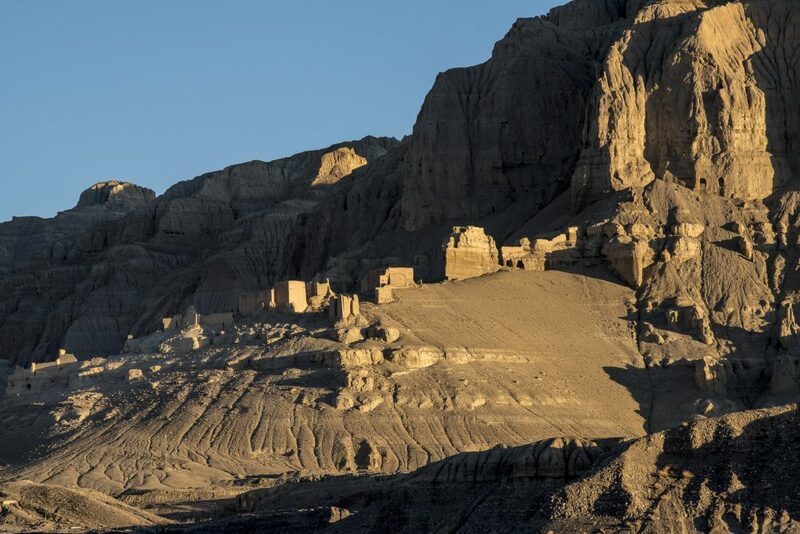 The Guge Kingdom lasted about 700 years and was centered around Tholing Monastery and nearby Tsaparang. 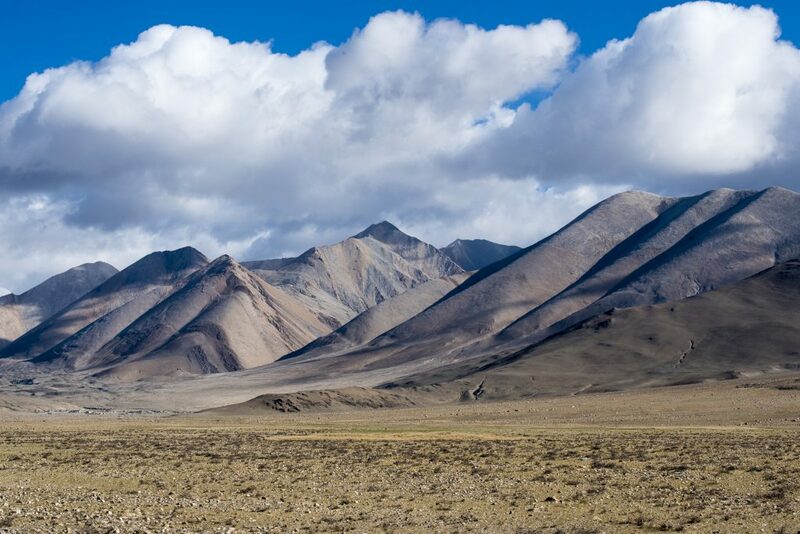 The kingdom, at its peak, stretched as far as Spiti Valley and Ladakh in the west. Controlling a trading route between India and Tibet the Kingdom was important in introducing Buddhism into Tibet. 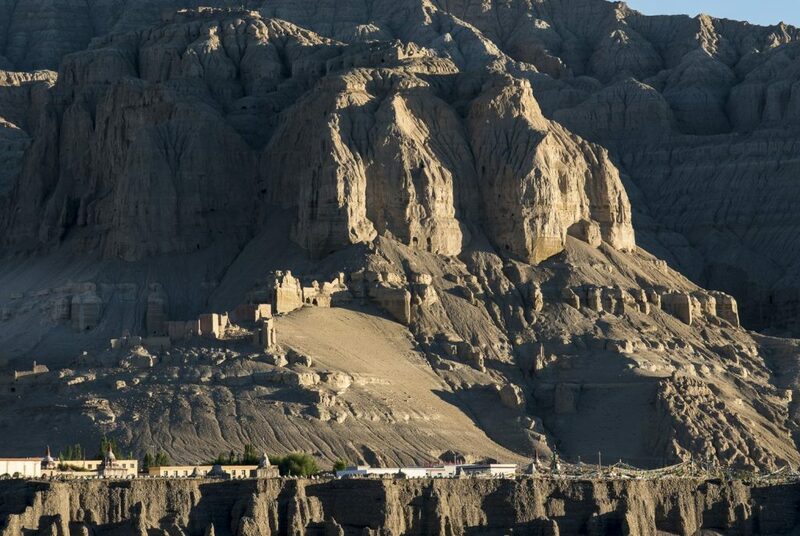 Tsaparang is a sprawling fortress built along a buttress of rock above the gorge. 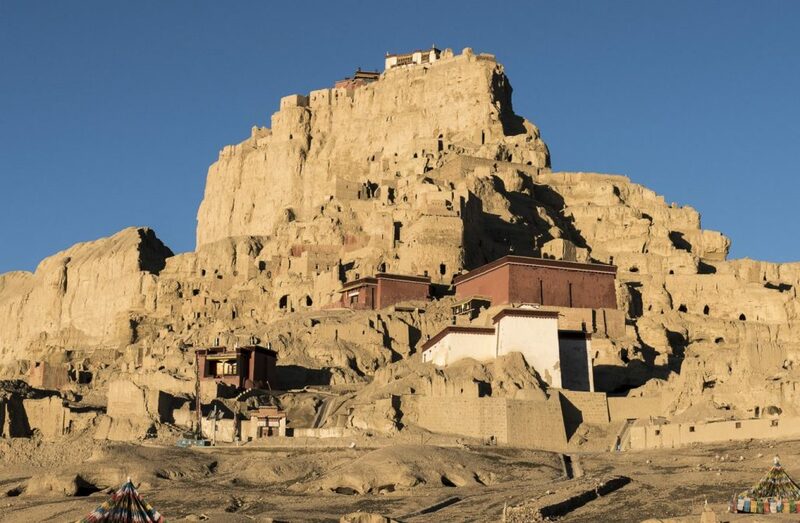 Tunnels carved out of the rock lead up to a ‘Red Chapel’ and a ‘White Chapel’, monks’ quarters, the royal quarters and at the very top a summer palace. Once again the Red Guards of the Cultural Revolution destroyed much of what they found but still some wonderful frescoes survive. 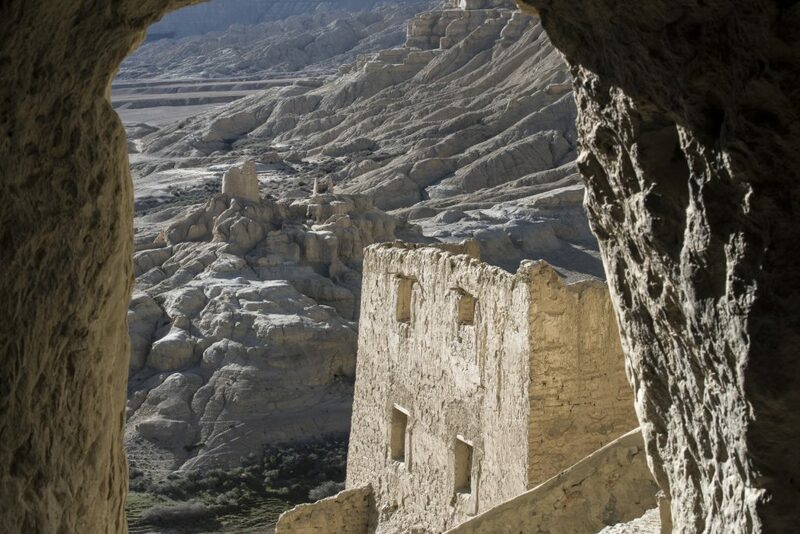 Today Tholing is predominantly a large military garrison but the monastery and landscape still have the power to mesmerise. It was now time to finally turn towards Kailash. Winding our way out of the canyon and its extraordinary landscape we completed a long drive back to Darchen. 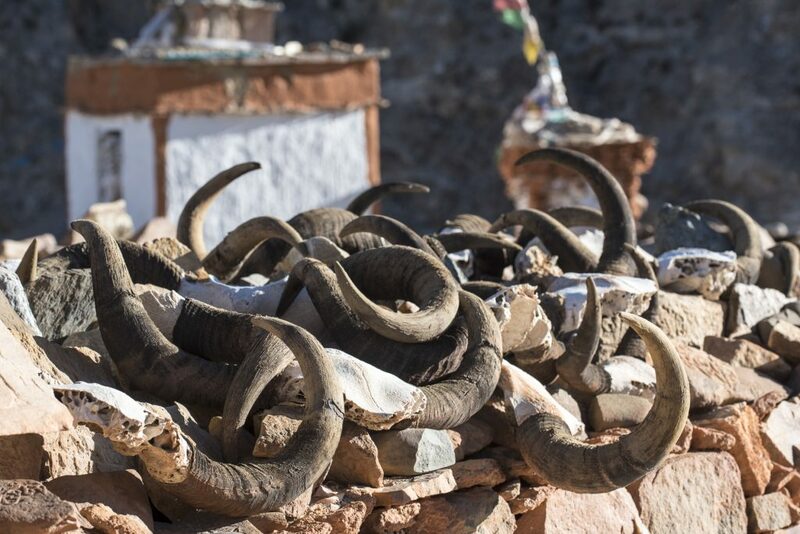 We bought some supplies, tried to get a good night’s rest and woke up early the next morning – which also happened to be my birthday – to join the pilgrims on a journey I had spent years attempting to complete – the Kailash Kora.